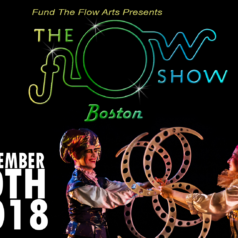 Following the fantastic ten year anniversary show in San Francisco, and successful shows in Chicago and New York, Fund the Flow Arts is pleased to bring you the very first Flow Show Boston! The groundbreaking show will take place at the Center for Arts at the Armory in Somerville, Massachusetts. Children under 5 get in free! Please click here to get tickets from Eventbrite. 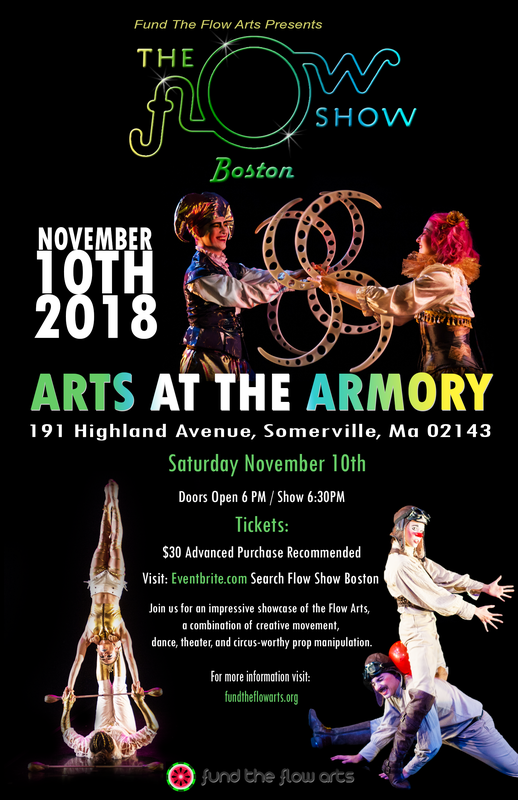 Don’t miss the debut of this amazing showcase of The Flow Arts in New England!